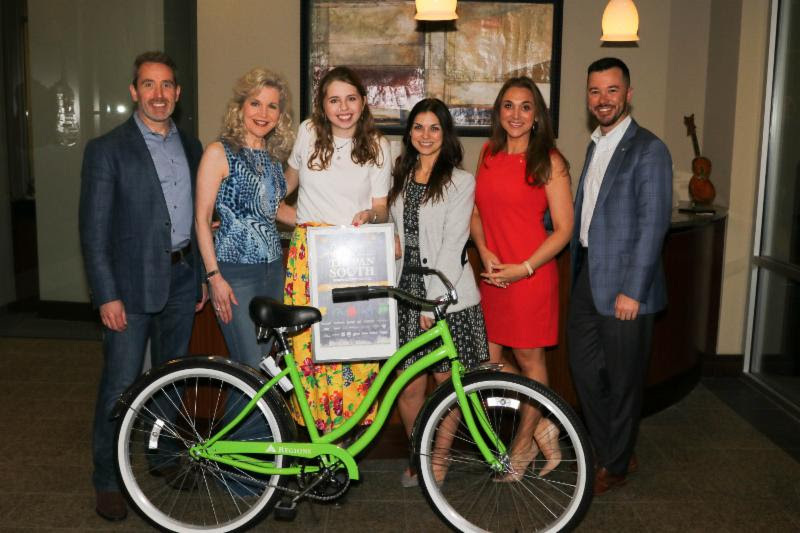 Pictured (L-R): Brian O’Meara, Regions Bank; Lisa Harless, Regions Bank; Destiny Carter, Official Tin Pan South Artwork Designer; Jennifer Turnbow, NSAI Sr. Director of Operations; Heather Frost, Regions Bank; Chase Chapman, Regions Bank. The 2019 Tin Pan South Festival was detonated with a Fabulon Fiesta on Monday evening (March 25). Staged in Regions Bank at the Music Row Roundabout, the party kicked off the 27th annual Tin Pan by mixing a who’s-who into a merry meringue. Larry Sheridan, Larry Weiss, Steve Bogard, Steve O’Brien, Jamie Floyd, Jamie Kyle & Dave Jenkins (of Pablo Cruise fame), Dave Brainard, Greg Brown, Terri Brown and Erika Wollam-Nichols worked the room. And they ain’t all. Many of the partiers came with cool back stories. Preshias Harris was all a-twitter because one of her “kids,” Gyth Rigdon, has made it onto Team Blake on The Voice. Ann & Colin Magee flew in from the Emerald Isle. They run the Belfast-Nashville Songwriting Festival there. Rachel Fahine had an even longer journey. She’s a big country star in Australia who is in Music City to co-write new tunes. Jesse LaBelle had the best story of all. He’s releasing a single titled “Call Me Up” on Friday. When he does, he’s making his phone number public. He’ll also begin performing with the number blown up on a backdrop. Yes, he wants fans to call him. He’s either a marketing genius or completely nuts. The mingling throng also included Bart Herbison, Neil Spielberg, Ed Seay, Craig Campbell, Billy Falcon, Benita Hill, Lisa Aschmann, Chris Keaton, Tony Arata, Rob Crosby, Anthony Martin, Sherrill Blackmon, Randy Perkins, Robin Ruddy, Katharine Richardson, Barry Coburn, Jed Hilly, Jenny Tolman, Bob Paxman, Sarah Morey and James Elliott. The Presenting Sponsor of Tin Pan South, as well as the party’s host, is Regions Bank. So the institution’s Lee Blank and Fabulon Queen Lisa Harless were proudly swan-ing the premises. 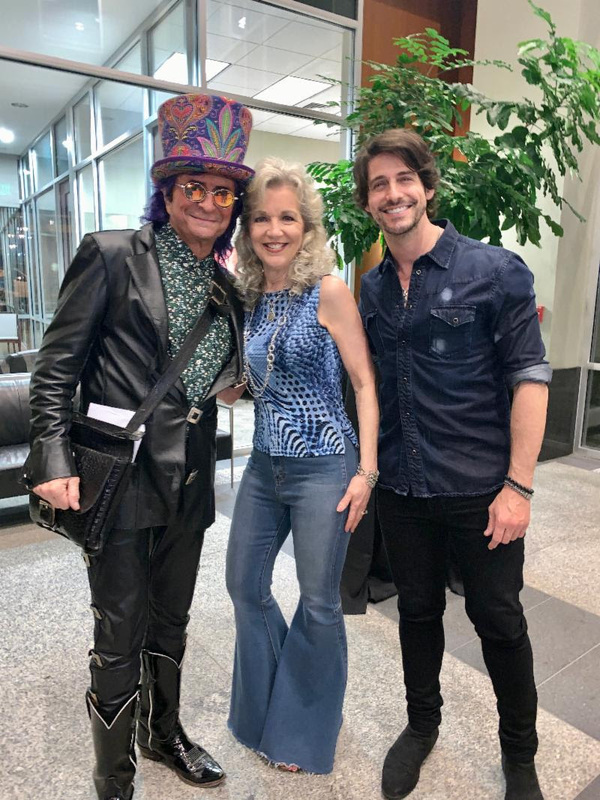 Wealth Management; and singer/songwriter Jesse Labelle gather at the 27th Annual Tin Pan South Songwriters Festival Kickoff Party. The Fest takes place all this week, Tuesday through Saturday. The participating clubs are Analog at the Hutton Hotel, The Station Inn, The Bluebird Café, The Local, The Lounge at City Winery, Hard Rock Café, The Listening Room Café, TRUE Music Room, Douglas Corner and 3rd & Lindsley. Here are a few folks to watch for: Ashley Campbell, Ashley Gorley, Maggie Rose, Jake Rose, Liz Rose, Rose Falcon, Daniel Tashian, Dan Tyminski, Dallas Davidson, Rivers Rutherford, Kevin Kadish, Erin Enderlin, Natalie Hemby, Nathan Chapman, Nicolle Galyon, James Otto, Jamie O’Neal, Buddy Cannon, Wynn Varble, Ty Herndon, Desmond Child, Victoria Shaw, Lance Miller, John Scott Sherrill, Hailey Whitters, busbee, Carly Pearce, Marc Beeson, Sam Tate, Shawn Camp, Josh Osborne, Jim Lauderdale, Lee Roy Parnell, Gary Nicholson and Doug Seegers. Nashville Songwriters Hall of Famer members showcasing include Mark D. Sanders, Bob DiPiero, Rory Bourke, Craig Wiseman, Even Stevens, Byron Hill and Sonny Throckmorton. Hall of Famer Mac Davis is on a particularly strong bill Friday at Douglas Corner alongside Chuck Cannon and James Dean Hicks. Hall of Famer Gary Burr is Wednesday at TRUE with his wife Georgia Middleman, plus Sarah Buxton and Charles Esten. Other tunesmith couples include Kelly Lang & T.G. Sheppard with Frank Myers, Jimmy Nichols and Eddy Raven Tuesday at Hard Rock, plus Jennifer Hanson & her ex Mark Nesler with Ryan Kinder and Jenn Schott at the Station Inn on Wednesday. “The family that plays together” motif also extends to Billy Montana with son Randy Montana, daughter Dani Green and son-in-law Zack Green Tuesday at the Bluebird. Tuesday (tonight) also has what is arguably the fest’s best one-two punch. The early show at 3rd & Lindsley features Barry Dean, Lori McKenna and Luke Laird, and they’re followed by Brett James, Lee Thomas Miller and Wendell Mobley.